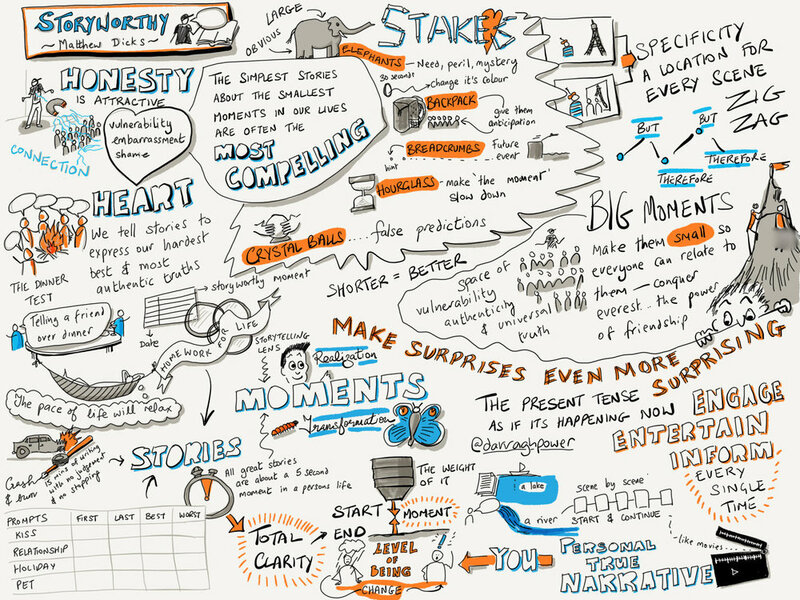 Someone far more creative and clever than I will ever be read my book, Storyworthy: Engage, Teach, Persuade, and Change Your Life Through the Power of Storytelling and created this amazing illustrated set of notes. If you read the book, you’ll see how remarkably accurate these notes are. They truly capture the most important aspects of my instruction. Its also always an incredible honor to see someone engaging in something I have made in such a meaningful, personal, and creative way. Makes me feel terrible for never building a diorama based upon a Kurt Vonnegut novel or never writing an epic poem about Ben Gunn’s life on Treasure Island.